"I'm in awe. This building will be home to a lucky few with the most impressive combination of space, finishes, views and service. I want one!" Wardman Tower is 50% sold out and interest in this amazing opportunity is unprecedented. 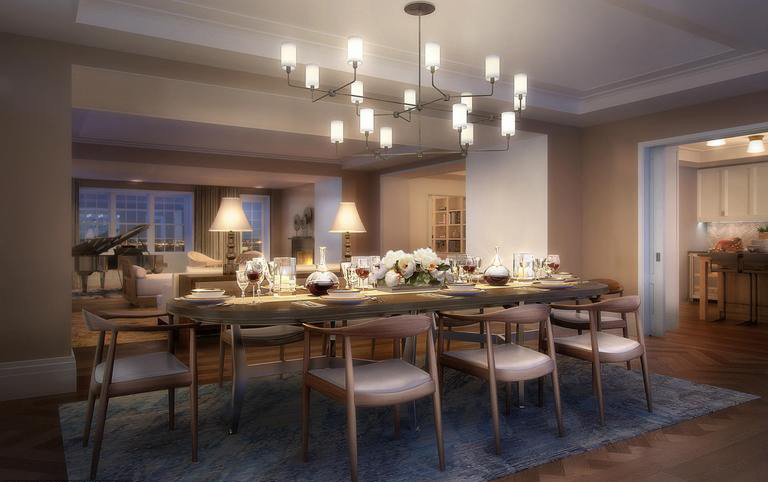 It is the only new luxury condominium in Washington that combines a wide range of unparalleled services with extraordinary finishes and New York- style floor plans. Listings start at $2,495,000. If you're seeking the very best in the Capital Region, Life At The Top can get you in. Schedule your private viewing or call us now at +1 301.442.8433. 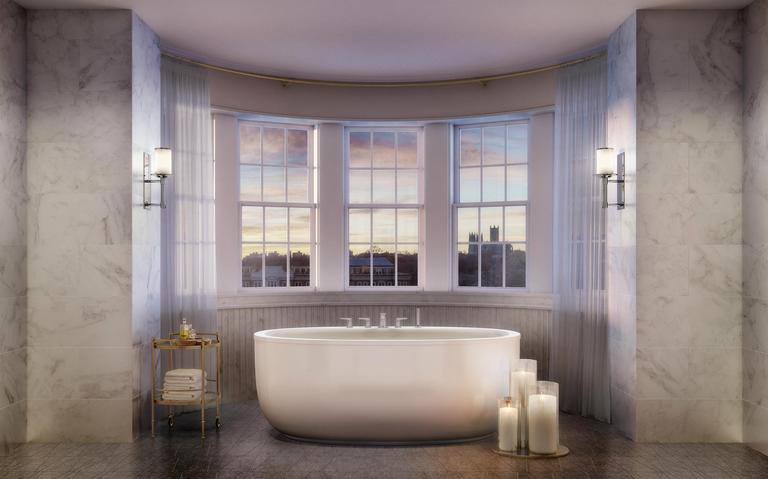 The landmark Wardman Tower, built in 1928 by Harry Wardman, one of the city’s most prolific developers, has been transformed into 32 luxury condos at Connecticut Avenue and Woodley Road NW in the Woodley Park neighborhood of DC. The distinctive Georgian Revival-style building sits among 2.5 acres of manicured gardens overlooking Rock Creek Park and offering some of the most commanding views of the city available anywhere. Since 1928, Wardman Tower has been home to dozens of politicians and celebrities including Dwight D. Eisenhower, Lyndon B. and Lady Bird Johnson, Herbert Hoover and Marlene Dietrich. Historic preservation of the exterior required restoring and re-pointing the original bricks, cast iron, stone and metal architectural details. The stunning restored building includes four floors with only six homes per floor and, on the upper two levels, just four homes per floor. Each of the penthouse units has a private roof terrace. The residences are among the most expensive condos in the city and for good reason. 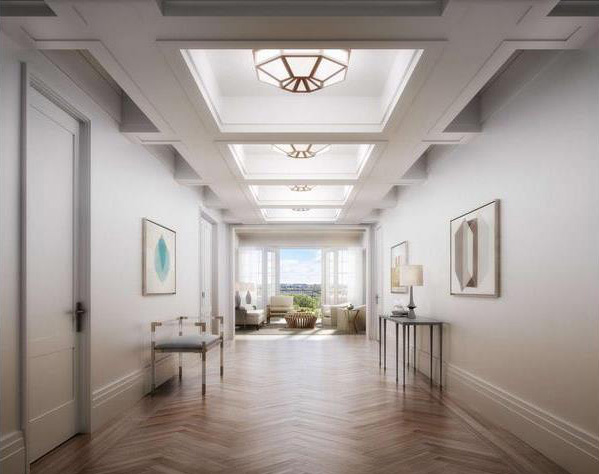 Each unit features six-inch wide oak panel flooring with a herringbone pattern in the gallery and living room, crown moldings, picture windows pre-wired for automatic shades. 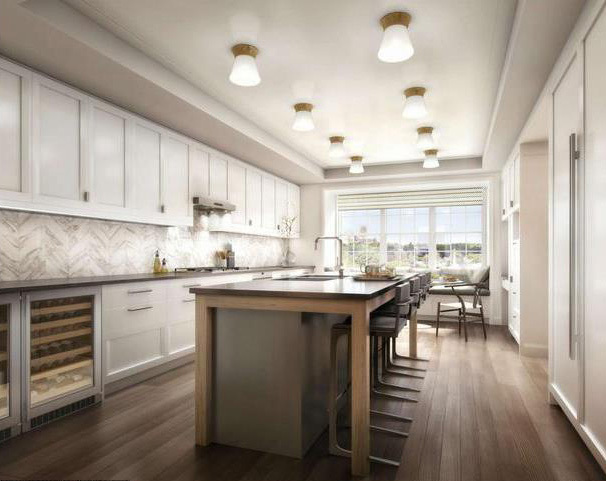 Solid wood doors and custom-made cabinets by Henrybuilt, gray polished Pentalquartz countertops, marble backsplashes, stainless steel appliances by Thermador, and an extensive center island and breakfast bar in the kitchen. 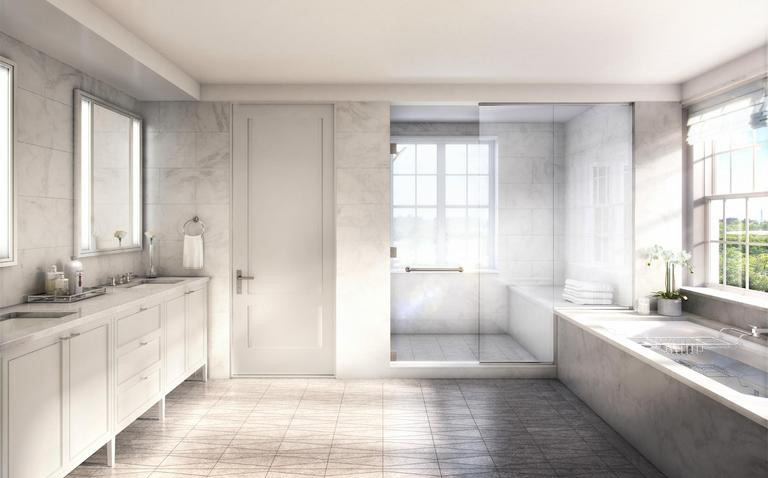 Baths feature Watermark fixtures, radiant heated floors, stone mosaic tile, Porcelanosa Krion solid surface countertops, and Toto toilets. Two clubrooms, one with a catering kitchen and one with a terrace to an English garden; a fitness center with a yoga studio and rooms for personal training; 35 private storage spaces; and a rooftop terrace with an outdoor kitchen, a library and lounge that open onto a garden, and at least two parking spaces per residence. The Wardman Tower affords residents their own entirely private staff, including full-time concierge services provided by Abigail Michaels Concierge. Nine full-time staff members provide doorman, valet parking and porter services for the 32 homes. Woodley Park is one of the city's most desirable neighborhoods. Nearby sidewalk cafes line Connecticut Avenue, Woodley Park's central commercial strip, accompanied by boutique shops. With nearby Rock Creek Park, the National Zoo, the best schools in the city and a vibrant nightlife, residents enjoy unparalleled quality of life. Two blocks from the Metro and a short walk to Adams Morgan, Kalorama and Dupont Circle, the Woodley-Wardman is superbly located.